Osaka Custom Style: Welcome to Osaka Custom Style! Welcome to Osaka Custom Style! In the fall of 2010, I took my first trip to the island country of Japan. It was there, that I fell unexpectedly in love with a motorcycle. I've always liked motorcycles, but never enough that I felt I wanted to get my rider's license and actually own a bike. But while in Japan, I saw several bikes that just had a look like no other, and I was immediately hooked. I guess it was the fat rear tire, the stripped-down naked body, and the stark simplicity of these bikes that intrigued me. After returning home, I was determined to find out more. All I knew about them was that they were Yamaha's, and they were all over Tokyo, Osaka and Kyoto. I thought for sure they must be some cool JDM market only motorcycle. 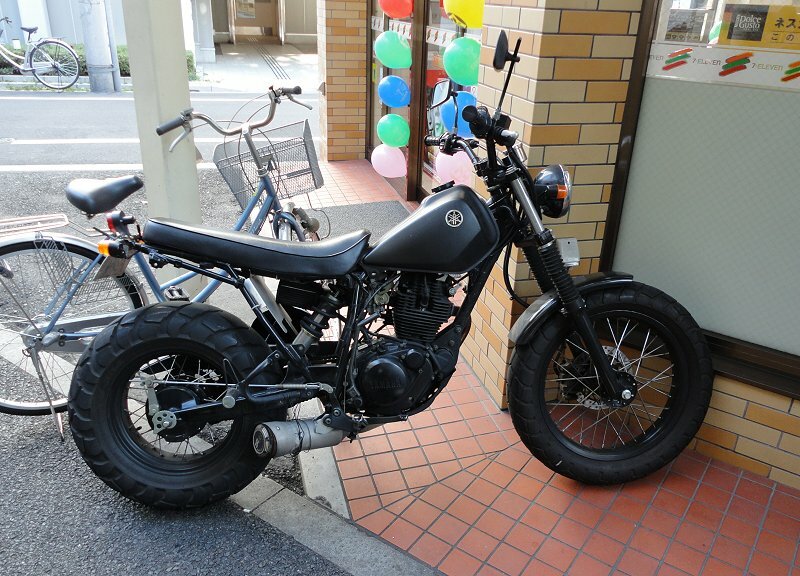 But after a little searching, I discovered that these bikes were just modified Yamaha TW200s! What's better, is that the TW200 was available here in the USA! So the concept of having one was real! 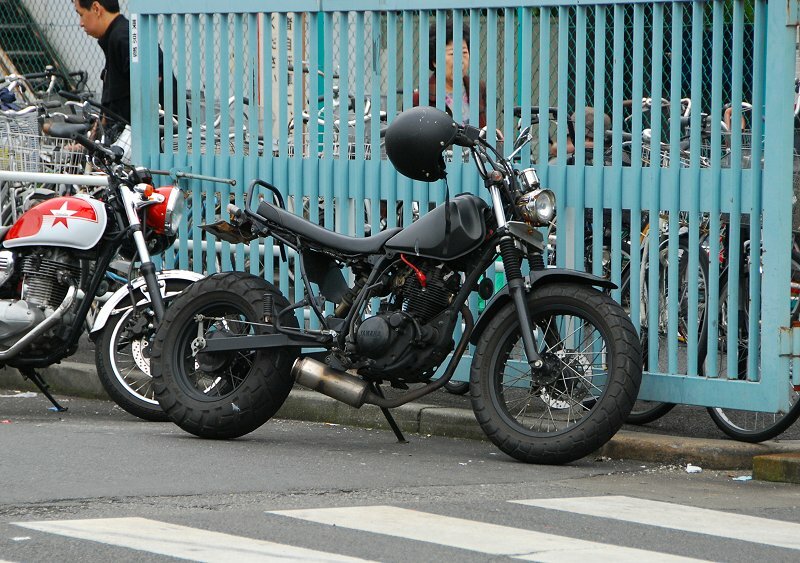 Here is a photo of one of the coolest ones I spotted, parked on the street near the Tsukiji Fish Market. And here's another one parked outside a "combini"
So I hope to make this blog entertaining. I plan to fully document the build process of my custom TW200, as well as write about motorcycle gear, culture and my own personal descent into motorcycle madness. i just went over the genesis of this blog again and i love its beginnings. Cheers!